Race fans attending this weekend's Textron Off Road World of Outlaws World Finals Thursday-Saturday at The Dirt Track at Charlotte will be in for the most spectacular display of dirt-flying entertainment anywhere in the world. FREE UTV RIDE-AND-DRIVE: Before watching the world's best dirt racers, fans can kick up some dirt by taking a FREE Textron Off Road UTV ride-and-drive on a purpose-built course. The ride-and-drives are available Thursday through Saturday in front of The Dirt Track. SEE THE SPECTACLE UP CLOSE WITH A PIT PASS: By buying a pit pass, race attendees can witness high-speed late model, sprint car and big-block machines up close and personal - and get autographs from the top stars in each series. PARTY WITH THE DRIVERS: What better way to drop the green flag on the weekend than to join in the fun at the Textron Off Road World of Outlaws World Finals Kick-Off Party hosted by PRN at the Track? The FREE party starts at 7 p.m. Wednesday at Twenty Six Acres Brewing Company (7285 W. Winds Blvd NW in Concord). Big names will preview the weekend's festivities while fans can enjoy a drink, some food and maybe score an autograph. CAMPER APPRECIATION BLOCK PARTY: Check out the Winged Nation at Camping World Camper Appreciation Block Party from 1-3 p.m. on Friday at The Dirt Track. Catch a lightning-fast lineup of sprint car standouts as they salute a record crowd of campers and preview the final two nights of World of Outlaws racing this year. Drivers including Shane Stewart - who drives for Kyle Larson's Larson Marks Racing team - as well as Kasey Kahne Racing drivers Brad Sweet and Daryn Pittman are scheduled to attend. SOUVENIR ROW: Nothing says "I attended World Finals" like an event or driver t-shirt. A row of souvenir trailers lines the entrance to The Dirt Track each race day, providing fans with a place to buy diecast cars, shirts, hats and all sorts of goodies for the family. 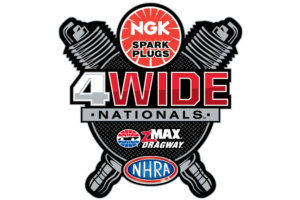 AWESOME AUCTION ACTION: From 12-3 p.m. on Saturday, take in the National Sprint Car Hall of Fame Auction at the zMAX Dragway pavilion. Bid on memorabilia and chat it up with fellow fans at a fun, family-friendly event that concludes less than two hours before opening ceremonies. Three-day packages for the Textron Off Road World of Outlaws World Finals are available for $89 for adults and $34 for kids 13 and under. Single-day tickets are $30 for adults on Thursday and $49 for Friday and Saturday. Single-day tickets for kids 13 and under are $15 for Thursday and $20 for Friday and Saturday. To purchase tickets, call the speedway ticket office at 1-800-455-FANS (3267) or go online at http://www.charlottemotorspeedway.com/tickets/world-of-outlaws-world-finals/.